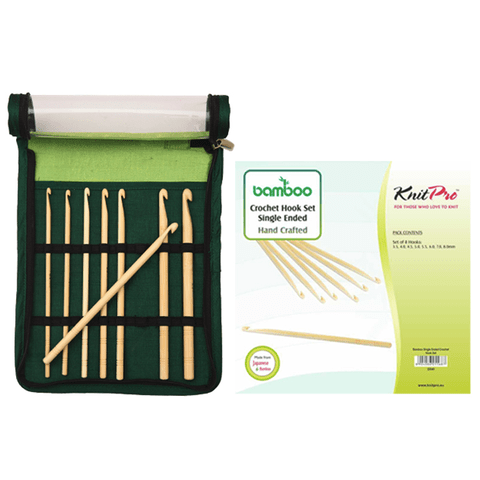 With this crochet hook set, you get 8 crochet hooks from KnitPro's Bamboo Series in sizes from 3.5-8 mm. 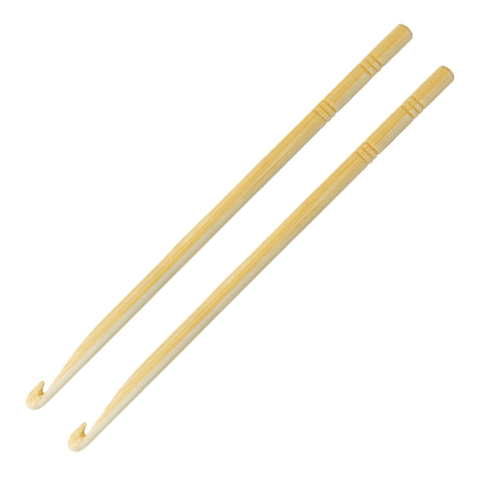 The crochet hooks are made of the finest Japanese bamboo, making crocheting an even greater joy. Bamboo is known to be both strong and lightweight. This light weight ensures that the pins are comfortable to use and enables you to crochet for hours without getting sore hands and fingers. The crochet needles are delivered in a practical, green zip pocket that provides you with both easy and practical storage of your crochet needles.